2NE1 will release a new song for this summer. I'm looking forward to this. It'll probably show that the 2NE1 girls don't just play one note. I'm excited! 2ne1 is my favorite so I'm looking forward to something new from them! I always laugh when managers or producers say things like "the girls want to..." 'cause is obvious the girls don't have any voice over creative choice lol, what a moronic thing to say. 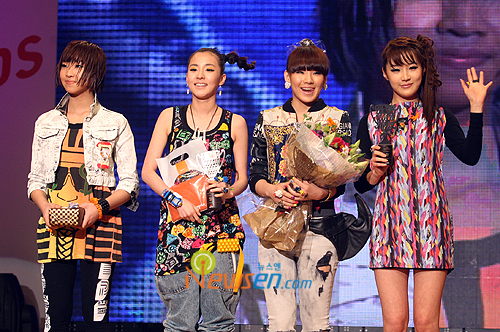 Whatever I excited over this 2NE1 is my second fav korean band right after After School. I want to listen to it rightnow!! !